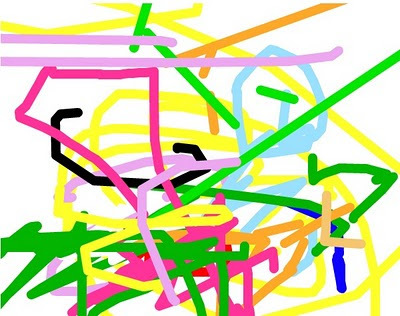 Gareth Long - Education: Art work - well she's only 3! Even my youngest daughter is excited by the computers around the house and is always trying to use the technology - and why not. Yes we have had the unintended emergency services phone call from a Blackberry, but it was a learning curve (that has NOT been repeated)! The image above was using a paint package - it's not a Picasso but it does signify progress and control and excitement (for my 3 year old - not me!). Her future is going to be really supported by technology - why not start early if they are excited about it! I just don't agree with those that say we should avoid very young people using ICT. Why would we - it's just about balance surely? Pretty nice place you've got here. Thanks for it. I like such themes and anything connected to this matter. I would like to read more on that blog soon.